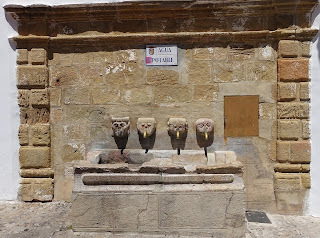 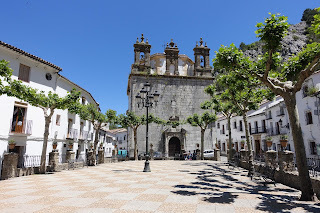 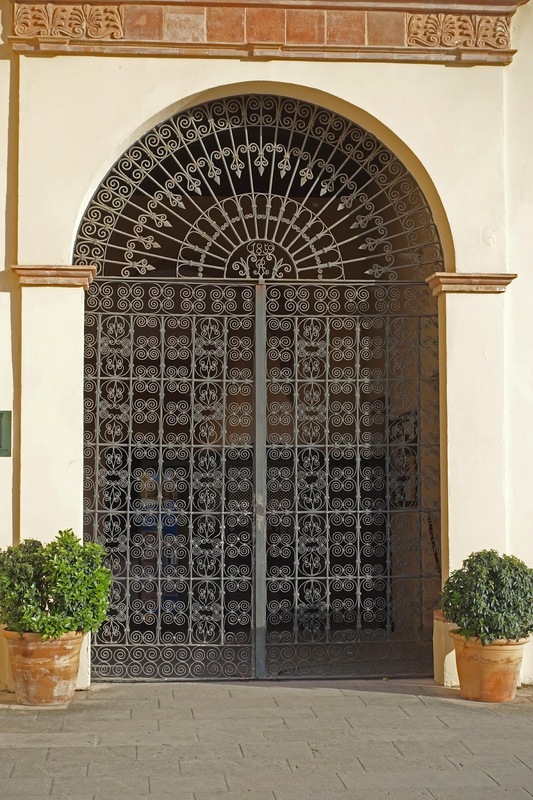 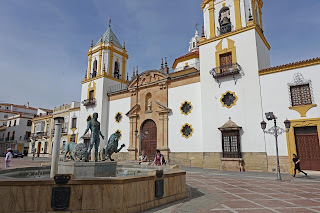 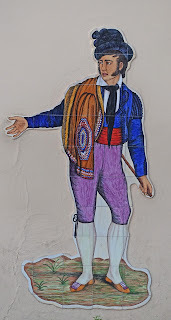 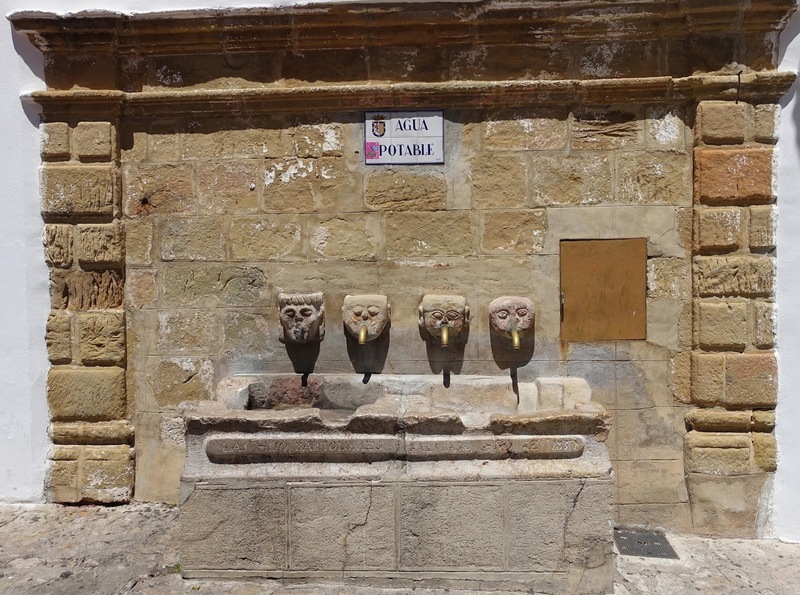 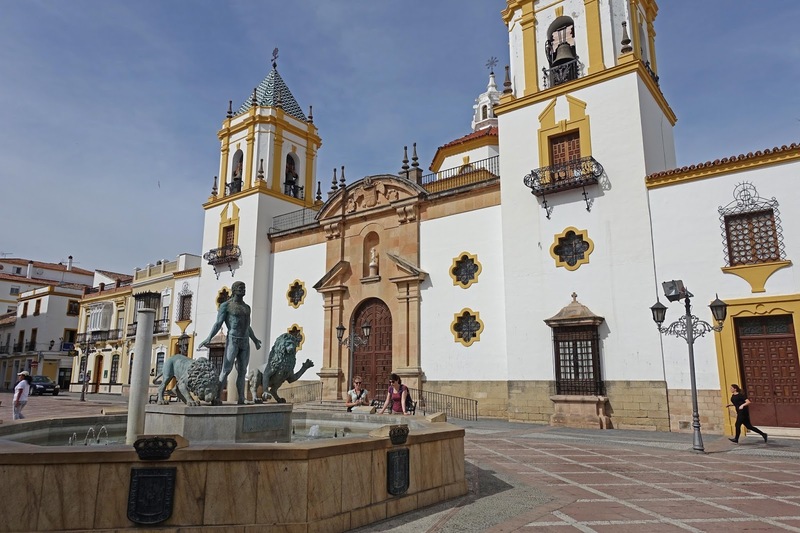 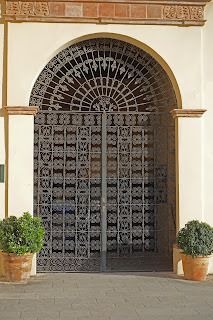 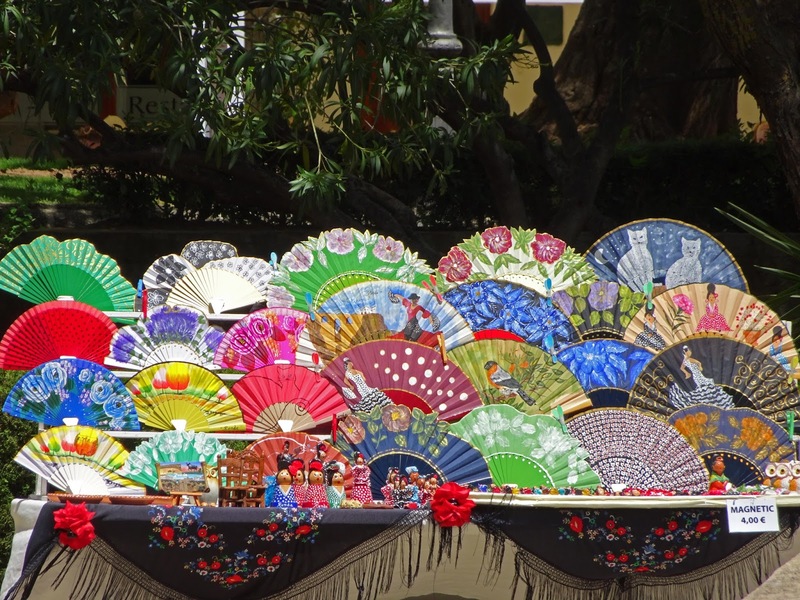 We visited five hill towns in the Andalucia region of Spain. The towns are perch on hill tops with great views of the surrounding countryside. The roads are narrow and twisty along steep mountain sides. A bit scary, but wow what a view. 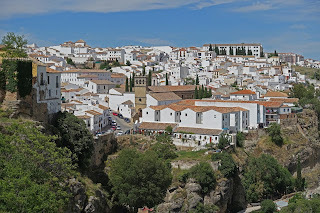 Ronda, Spain - They were filming Berlin Station while we were there. 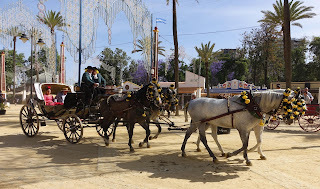 They took over a lot of the old town. 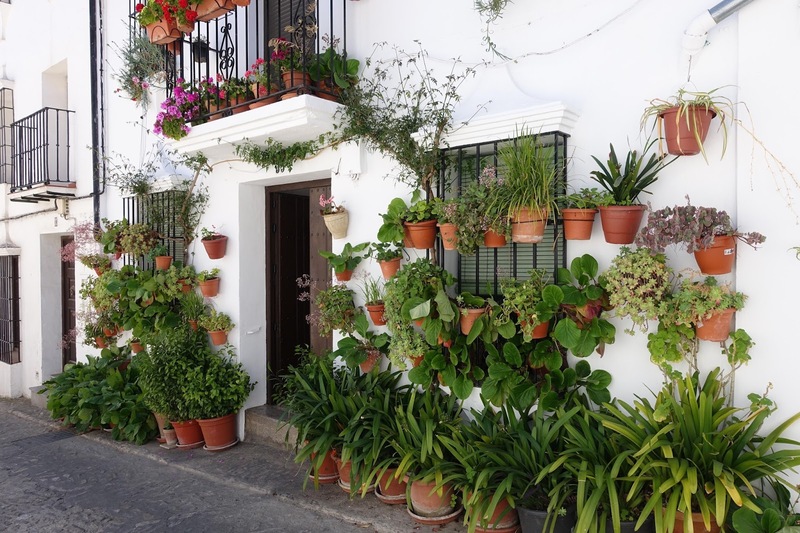 I can see why they chose the area, it is beautiful. 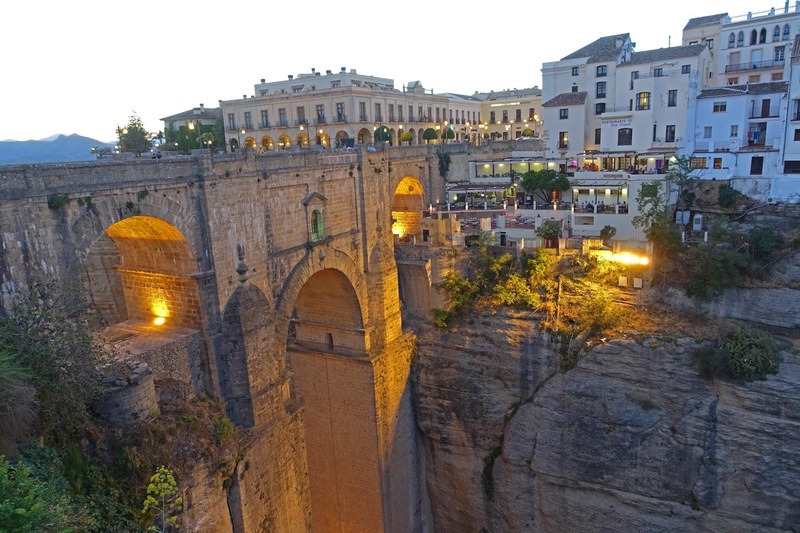 Ronda sits along the top of a canyon wall. New Bridge was completed in 1793 and spans El Tajo ravine connecting the Moorish quarter with the El Mercadillo quarter. 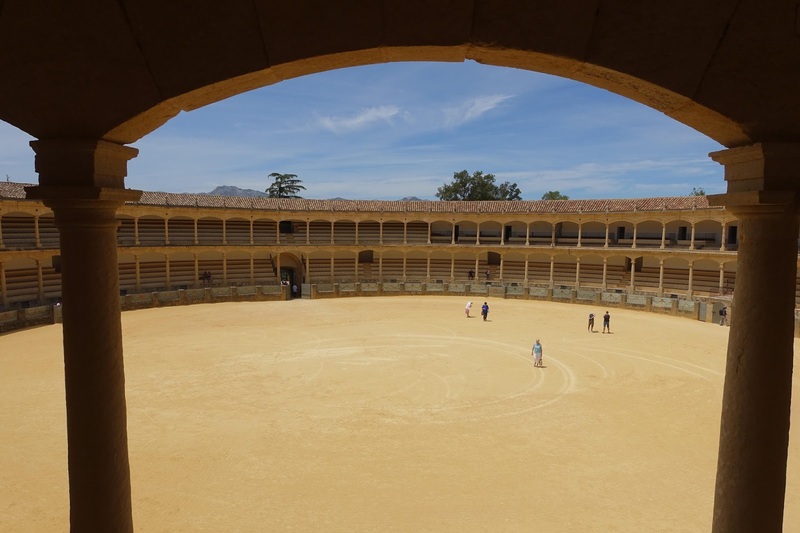 Bullring in Ronda. 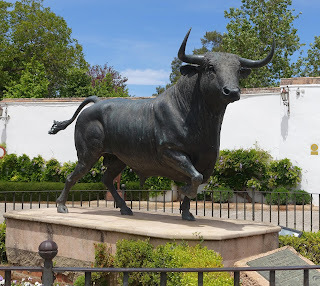 It is the birth place of modern bullfighting. 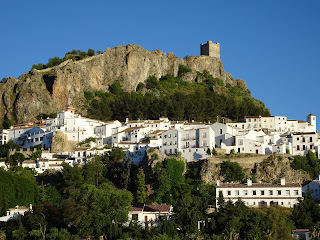 Zahara de la Sierra with a Moorish castle ruins on the hilltop. 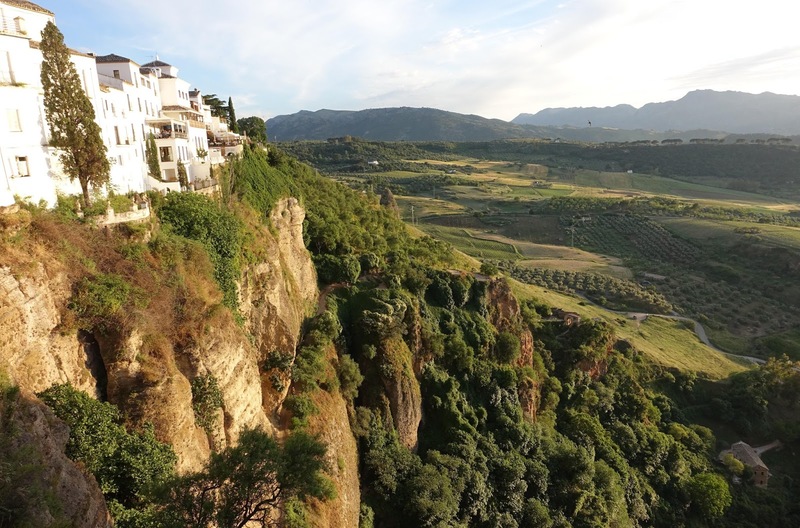 View from the Moorish castle tower. 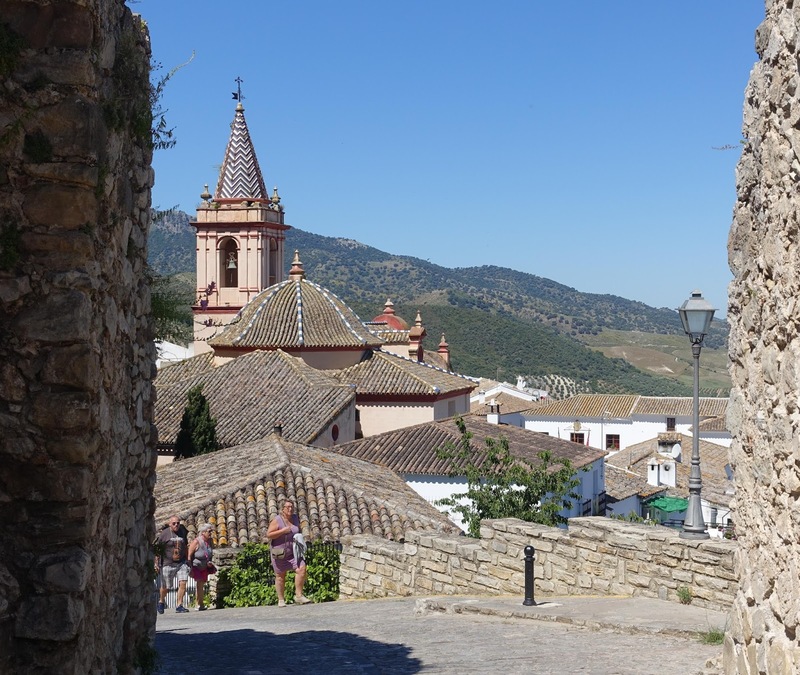 View of the church roof in Zahara. 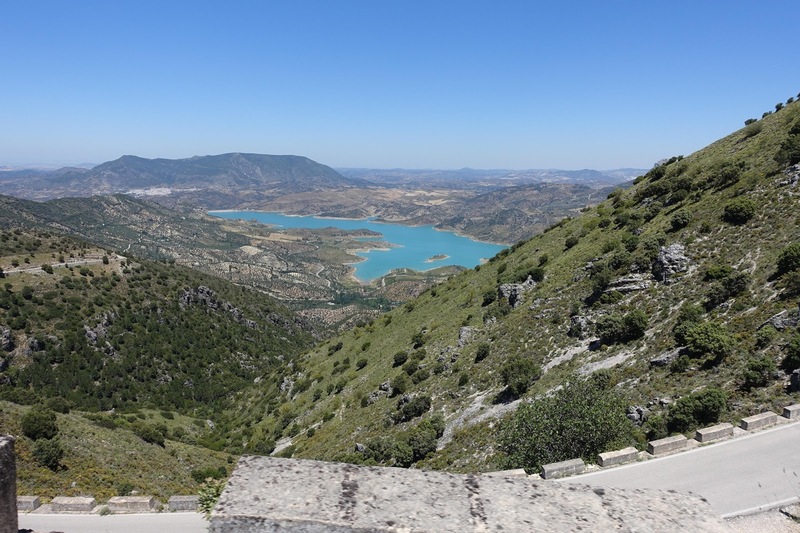 From Zahara we drove a narrow road that hair-pinned up to a pass and back down to the next town, Grazalema. 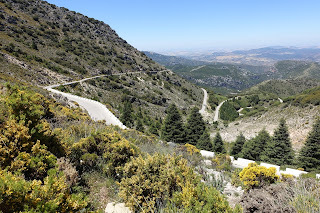 You have to wonder why the road was built. 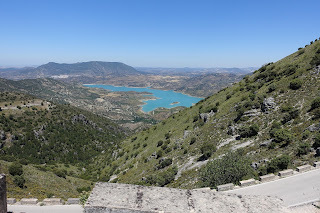 It goes steeply up and back down a nearly vertical mountain, but the scenery is fabulous. Grazalema home front yard - only room for a vertical garden. 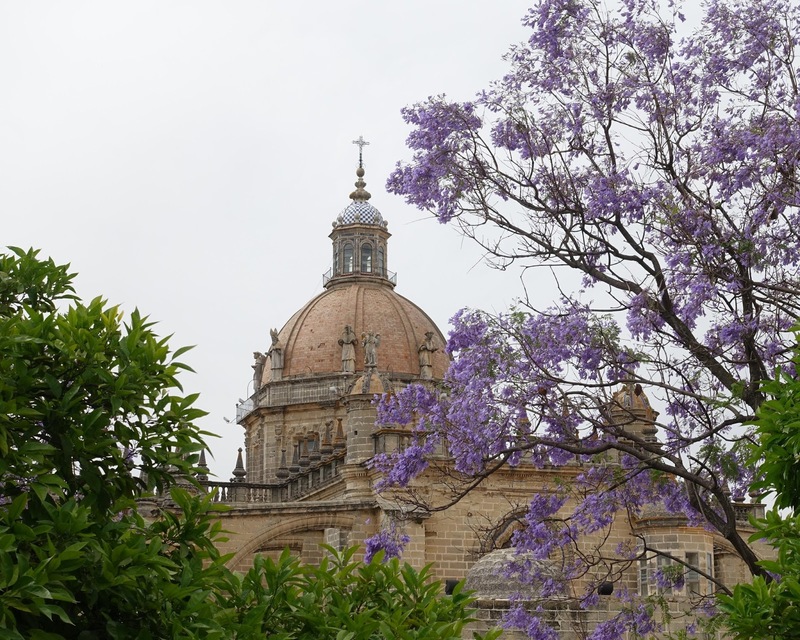 Jerez, Spain - The old town was full of blooming jacaranda trees. 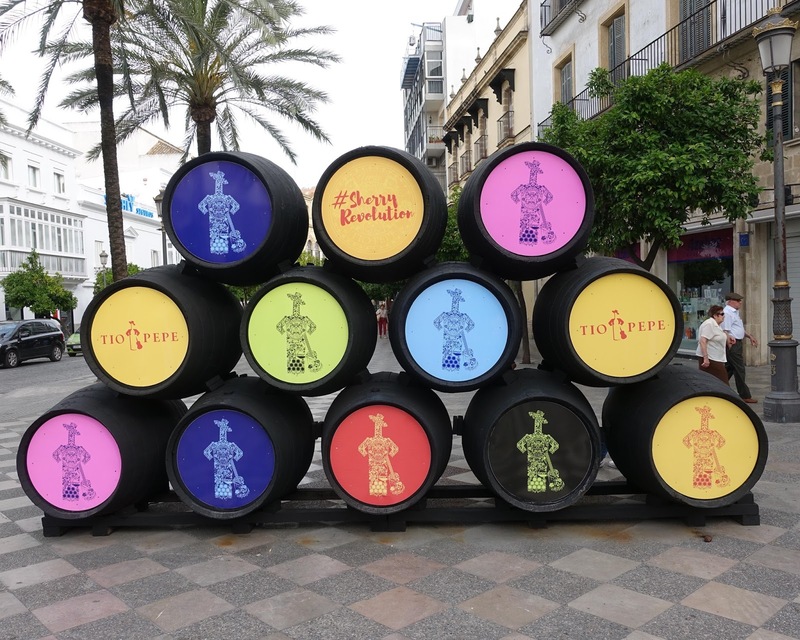 Colorful sherry barrels. Jerez is famous for two things - horses and sherry. 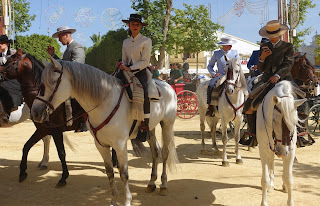 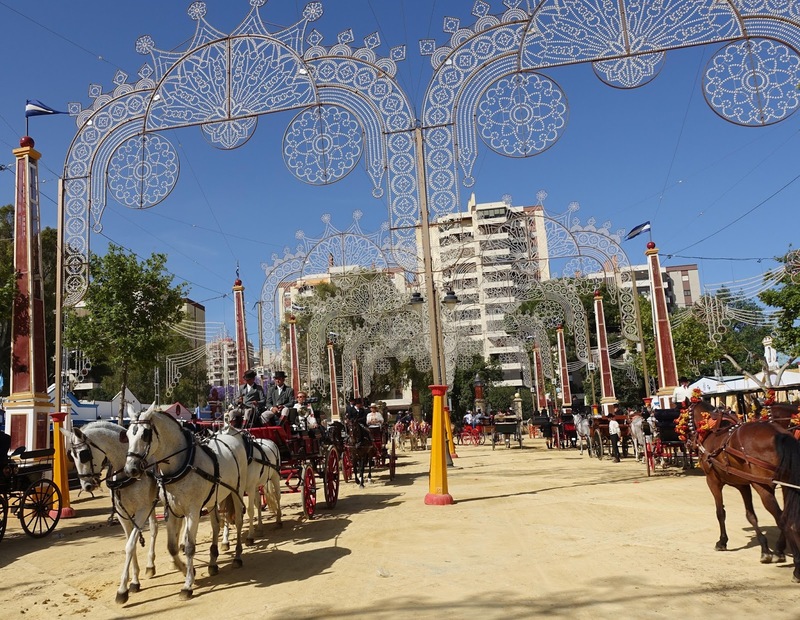 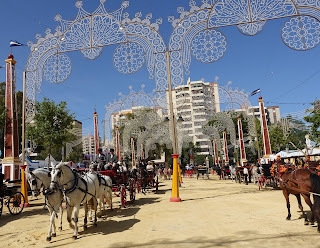 We arrived in Jerez during the Festival of Horses. There were horse drawn carriages and people riding horses everywhere.